As a barrister specialising in children matters, Joanne has established a busy practice with significant experience in her representation of Local Authorities, children, parents, grandparents and extended family. Joanne has gained a reputation for successfully engaging with complex and multifaceted work in areas such as non-accidental injury, sexual and physical abuse, neglect, substance misuse, domestic violence and learning difficulties. Having experience working as a solicitor for the local authority and in private practice prior to her transfer to the Bar, Joanne has an unusually broad experience in her field, which is reflected in a dynamic and well considered approach to her practice. Joanne specialises in cases involving complex medical evidence dealing with suspected cases of non accidental injury, on occasion resulting in the death of a child. Joanne has also had significant involvement with cases concerning historic sexual abuse representing the local authority, alleged perpetrators and children. 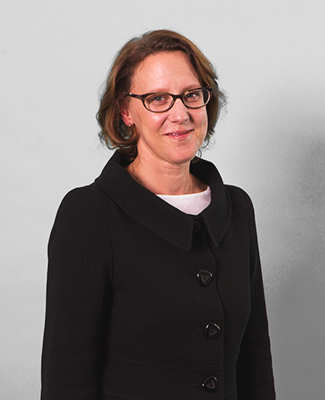 Joanne also has involvement in cases relating to families from outside of the jurisdiction and has written for Family Law Journal and speaks on the subject. Joanne is the co-author of Child Protection Proceedings: Care and Adoption Orders, a practice guide to care proceedings published by LexisNexis. Outside Chambers life Joanne enjoys relaxing with her family, going to the theatre, and reading. A former solicitor with experience in private and public law matters who is especially knowledgeable when it comes to public cases concerning adoption and care proceedings. She is praised for her understanding of international issues, particularly in relation to Eastern European families. ‘A skilled barrister especially in her cross-examination’. Junior with noteworthy experience in private and public law children matters. She has significant focus on non-accidental injury, and sexual and physical abuse. She is particularly noted for her work with migrant families from Eastern Europe. ‘Her cases are presented with clear knowledge of the issues’. Has impressive experience in cases concerning Eastern European families, and expertise in a range of matters including those involving non-accidental injury, sexual abuse and domestic violence. Strengths: ‘Joanne is a good advocate, particularly for people who are vulnerable. She really does fight on their behalf, but she does so with care’. ‘She’s gentle and doesn’t tent to be unnecessarily aggressive. She chooses the right questions and picks her battles’.